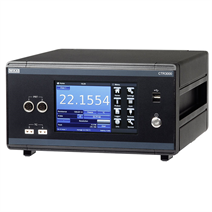 The model CTR3000 precision thermometer provides a complete measurement and control interface for users wishing to make high-accuracy temperature measurements or calibrate thermometers. It supports a wide range of thermometer types including 25 Ω SPRTs, 100 Ω PRTs, thermistors and thermocouples. 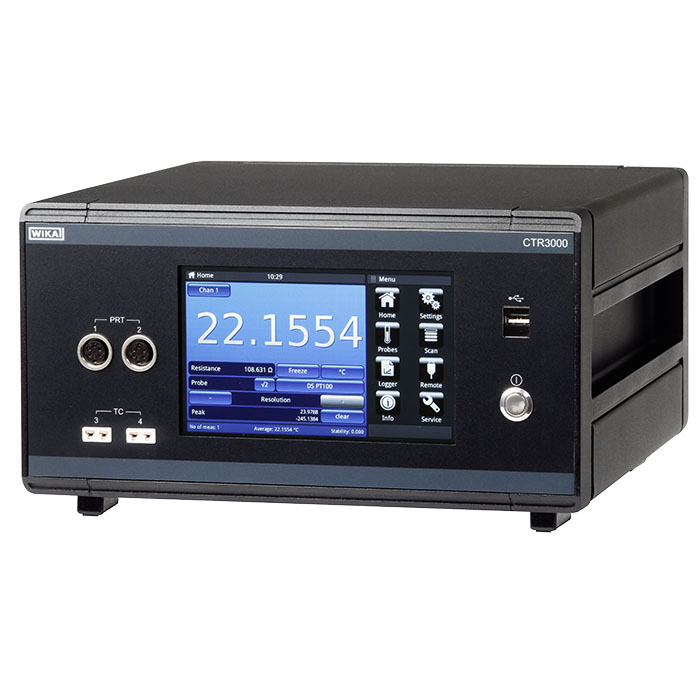 The CTR3000 is a high-accuracy instrument designed for laboratory and industrial temperature measurement and calibration applications. The instrument will operate with all 3- and 4-wire (S)PRTs (25 Ω, 100 Ω) platinum resistance thermometers as well as most standard international thermocouple types and NTC thermistors. The following temperature measurement units are selectable: °C, °F, K. Base measuring units mV and Ω are also displayed. The temperature values will be calculated through common conversion of the base measurement. Due to the wide range of this instrument it makes individual instruments needless and makes the calibration cost-effective. Are you interested in individual product data (e.g. test report)? Find out more about your WIKA product.